The dolphins were stranded on Ellis Landing Beach. It took over two dozen people to help return a few stranded dolphins back into the ocean in Brewster on Monday, officials said. 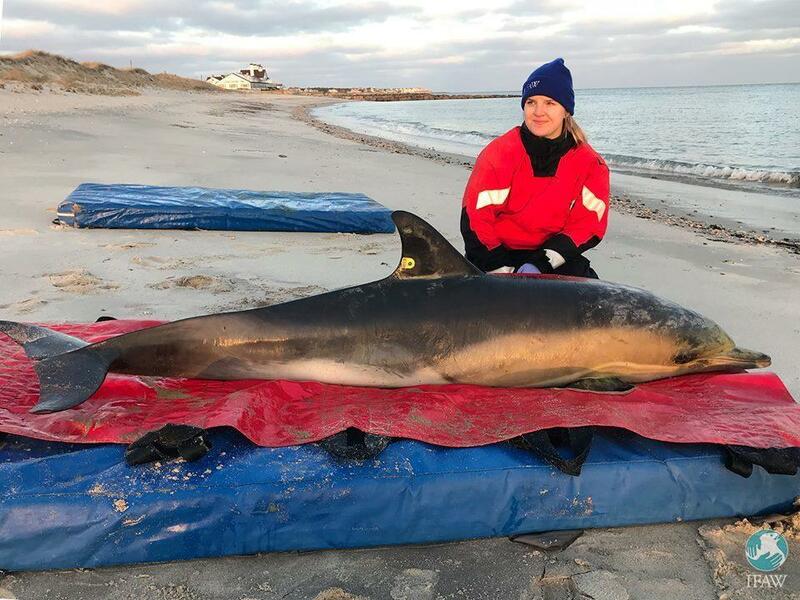 Workers responded to reports of five dolphins swimming close to shore, three of which were stranded on the beach, according to a Facebook post from the International Fund for Animal Welfare. The dolphins became stranded on Ellis Landing Beach around the 2:30 p.m. low tide, Brewster officials said Tuesday. IFAW’s Marine Mammal Rescue & Research team “was onsite and able to immediately rescue and transport the dolphins to IFAWs medical trailer for assessment,” their post said. With medical clearance, the dolphins were released into the waters of West Dennis Beach. Workers from Brewster’s Department of Natural Resources and AmeriCorps provided assistance, Brewster officials said. Alana Levene can be reached at alana.levene@globe.com. Follow her on Twitter @alanalevene.